Are private shore excursions in St Petersburg expensive? As a guide and travel agency owner, I often face a bias that private shore excursions in St Petersburg are much more expensive than group tours offered by a cruise company. I don’t really agree with that and to prove my point I decided to compare the prices with Royal Carribean. I believe that private tours are a very good value for money and become quite affordable for groups of 4 people and more. Let’s say that we have a family of 4 who decided to take a Baltic cruise. They decided to visit the most popular “must see” places. So, on their wish list we see a city tour with visits to the Savior on Spilled blood church and St Isaac’s cathedral, Hermitage museum, Catherine palace in Tsarskoe Selo, the Peter and Paul fortress and Peterhof fountain park. The problem with shore excursions offered in St Petersburg by a cruise line is that you’ll need to book many tours to satisfy your interest. St Petersburg is a big city, and the port is not in the very city center, so you’ll also use significant amount of time driving to the city center and back to the ship. 360 USD per person total – 1440 USD per group of 4. Remember it’s a group, not private tour. 10:30 – 11:30 – city tour with visit to the Savior on Spilled blood church. A walk along the Nevsky prospect. 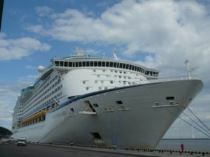 09:00 – meeting at the ship, departure for Peterhof. On the way there you can choose between a visit to the farmer’s grocery market or a supermarket where you can find some local products (the guide will help to find them among international brands ) and learn more about everyday life of the citizens. The price of a private tour by car for group of 4 is 310 USD per person. The price includes a private guide, a car with driver, museum tickets and cruise visas. And you will be with your family or friends only! Looks like a great deal!